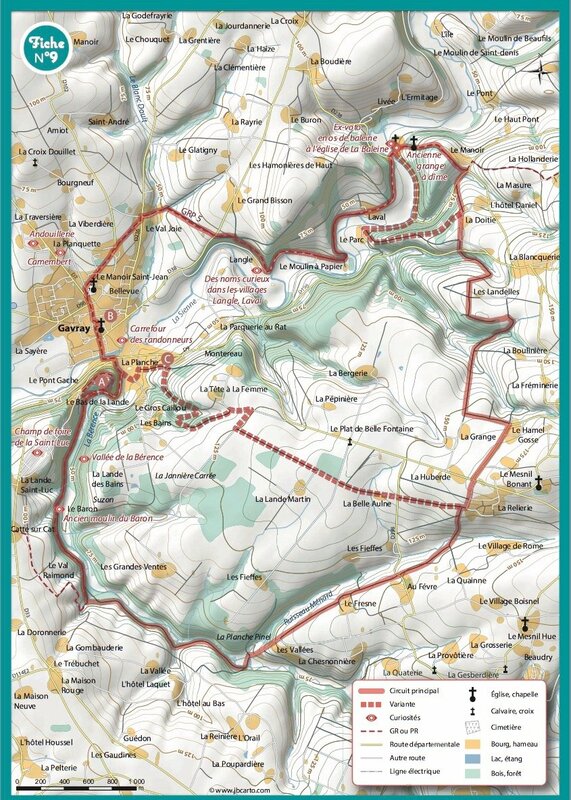 Coutances Tourist Office have produced a leaflet for a circular walk in Gavray. 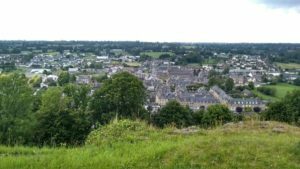 It’s number 9 in a series of 22 countryside walks in and around the Coutances area. You can download the leaflets from the website here. Alternatively, you can buy a copy in one of the tourist offices. On one side of the leaflet are points of interest and practical information.You can start the Gavray walk in the centre of the village where there is plenty of parking and also public toilets. The Gavray tourist office is near to the town hall and the church so you can check any details on the leaflet with them. 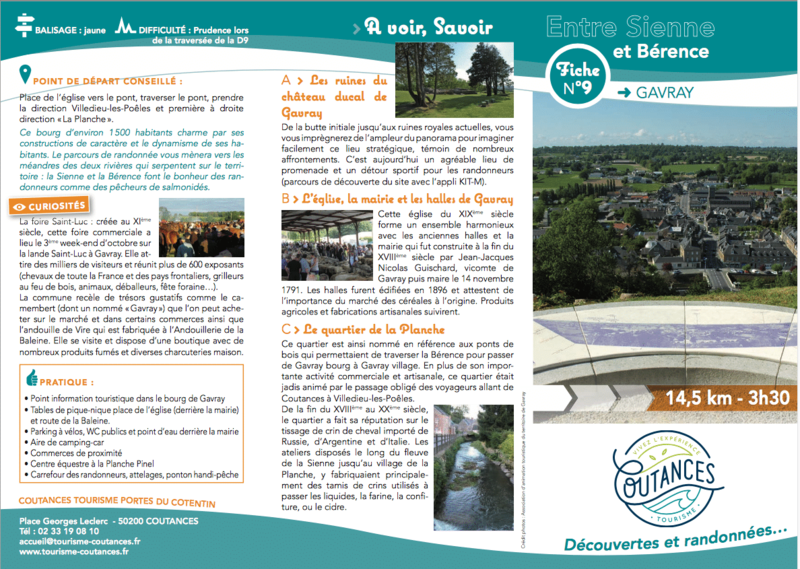 The leaflet is written in French but English is spoken in the tourist office. Highlights of this walk are the church, town hall and former covered market in the centre of the village. Just a few hundred meters from the centre of the village is a small hamlet known as La Planche. This was where artisans lived and worked. 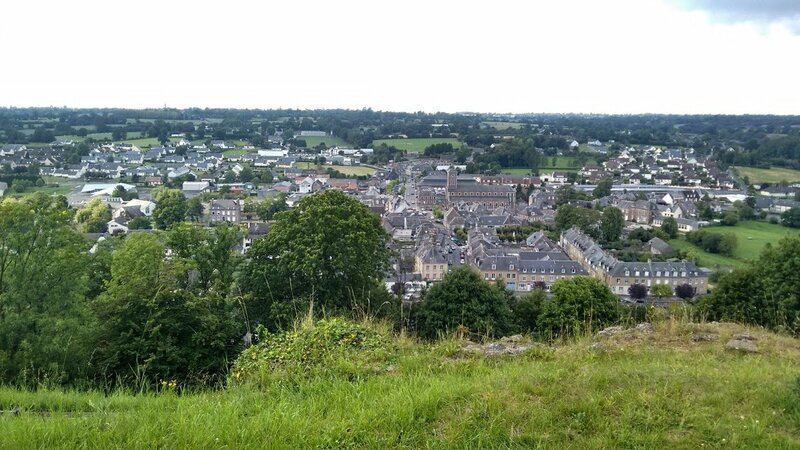 You can climb up the hill to the ruins of the ducal chateau and get great views over Gavray. There are information boards in both French and English explaining about the ruins. Once you’ve explored these sites you can continue on the rest of the walk that talks you through beautiful Normandy countryside. The reverse of the leaflet contains the map. The walk is 14.5 kilometers and will take approximately three and a half hours.